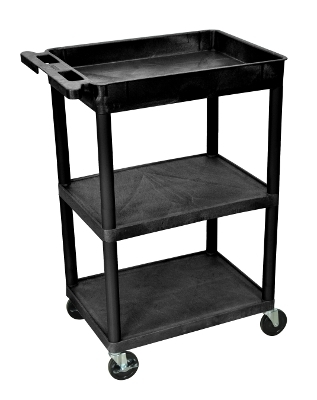 This STC122 cart has a top tub shelf and middle and bottom flat shelves 18"D x 24"W x 37 1/2"H. Clearance between shelves is 11 3/4". Easy assembly. Made in USA.